Keep your favorite turtle brothers on your desk! 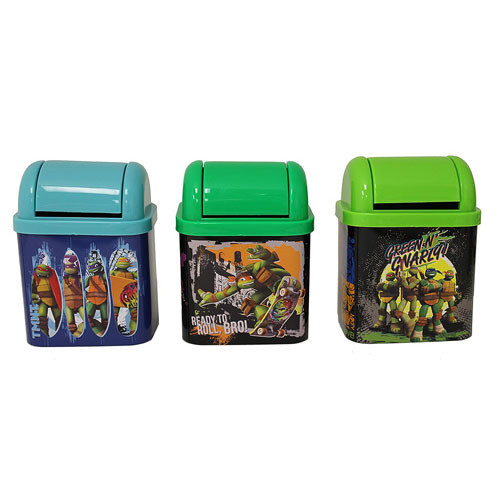 This Teenage Mutant Ninja Turtles Flip Lid Desktop Tin Set contains 3 individually packaged desktop tins with a fun and convenient flip lid for you to store things inside, even trash! It's a must have for fans of TMNT! Each tin measures 6-inches tall by 4 1/2-inches long by 3 1/2-inches wide.